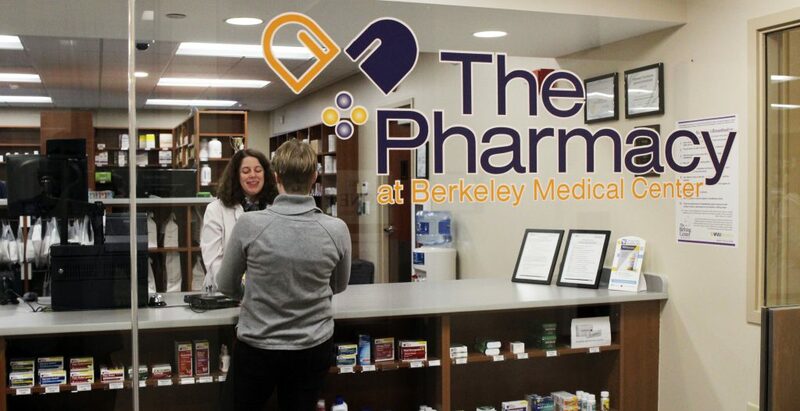 The Pharmacy at Berkeley Medical Center is here to help with all of your prescription and over-the-counter pharmaceutical needs. Stop by our convenient location on the first floor of the hospital or use our drive-through window to pick up your prescription from the comfort of your car. Enter through the main entrance of the hospital and turn right at the end of the lobby. The pharmacy is on the right, across from the MRI waiting room. Submit a refill request online.